The UK government said it will spend £45 million ($59.7 million) toward projects aimed at increasing the computing, storage and building capacity of the European Molecular Biology Laboratory European Bioinformatics Institute (EMBL-EBI). 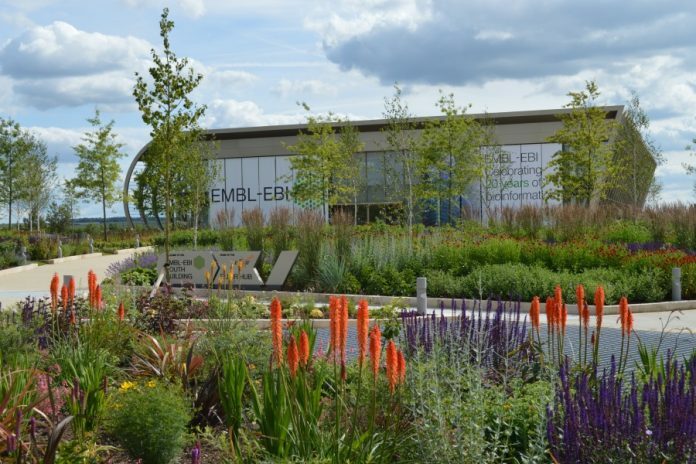 Based on the Wellcome Genome Campus in Cambridgeshire, EMBL-EBI provides freely available data and bioinformatics services to the global scientific community—including what it says is the world’s most comprehensive range of freely available molecular data resources. EMBL-EBI also carries out investigator-driven research aimed at advancing biology, and offers advanced bioinformatics training to scientists at all levels. According to the UK, its funding will be used toward expanding EMBL-EBI’s technical IT and building infrastructure, which is intended to support the growing demand for scientists to access biological data sets more quickly and simply. The investment will also support the emerging use of machine learning across the life sciences, which requires quality-controlled datasets like those overseen by EMBL-EBI. Over the last five years, approximately 20 petabytes of new biological data has been deposited to EMBL-EBI—the equivalent of the capacity of 20,000 laptops with one terabyte of storage each. EMBL-EBI predicts that the data growth is likely to intensify due to the diverse use of genomic data in biotechnology, medicine and agriculture. EMBL-EBI is one of the six sites of EMBL, an international, innovative and interdisciplinary research organization funded by 26 member states (including the UK) and two associate members, Argentina and Australia. Since 2017, the UK government has articulated “Sector Deal” policies in which it has joined with key life-sciences stakeholders to commit toward investments in the kingdom’s life-sci industry, with the goal of attracting companies and promoting their expansion. According to the government, life sciences in the UK generates more than £70 billion a year and employs 240,000 people. The new funding is delivered through UK Research and Innovation’s (UKRI) Strategic Priorities Fund, created to support research and development priorities deemed of high quality. UK science and innovation is supported by what the government has called the largest-ever increase in public research and development investment on record, designed to raise R&D funding to 2.4% of GDP by 2027. “Our ability to process, access and interrogate large volumes of data is absolutely crucial to scientific discovery in the 21st Century, none more so than in health and life sciences where the fields of genomics and molecular biology are fueling major advances. This funding enables EMBL-EBI to continue to grow its global leadership in large biological datasets and bioinformatics,” added UKRI Chief Executive, Professor Sir Mark Walport.